Back to Natives Nursery Go Native: Habitat Gardening for Birds and Butterflies California is experiencing a record drought and homeowners are feeling the pinch. We’re all restricted to watering only two days per week – but with native plants, the correct irrigation, and healthy soil your yard can be more beautiful than ever! Beginning Sunday, November 11, 1-3PM, and offered the 2nd Sunday of each month through February! 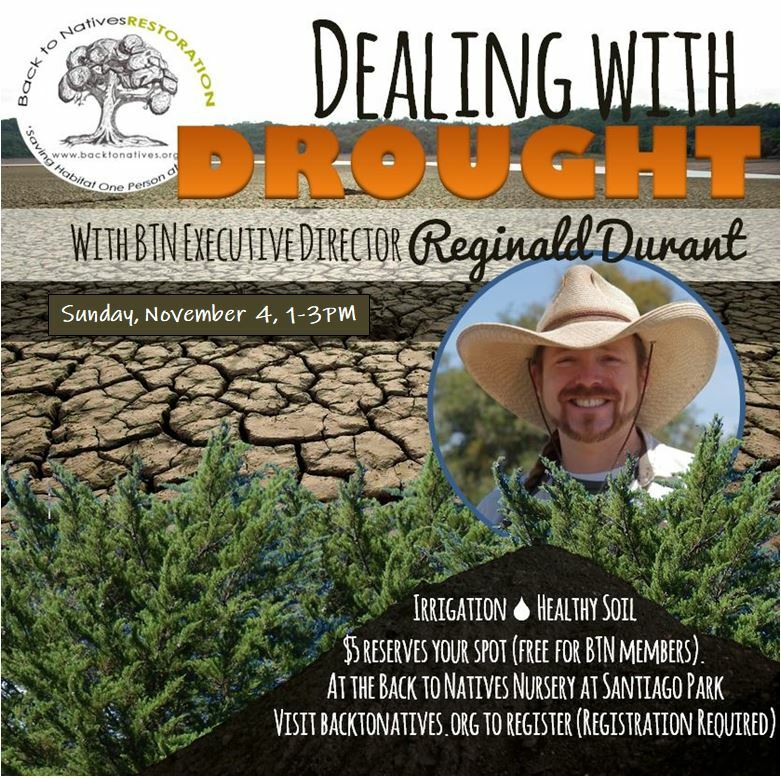 Join Reginald Durant from Back to Natives to learn all about native plants that can provide color, beauty and the structural bones of a landscape year-round, while saving water and supplying habitat for birds and butterflies. The right foundation planting for most landscapes is a nice mix of evergreen material, with some repetition of plants for a unified look, and an overall casual, naturalistic feeling. A successful foundation planting starts with picking the right plants in the right proportion: evergreens to provide the structural bones of the landscape year-round. Evergreen shrubs add texture and height, and seasonal color. Foundation plants should enhance a landscape, make it welcoming, and tie it to the surrounding area. Using natives as foundation plantings eliminates the need for pesticides, which harm beneficial insects and other animals, and reduces our exposure to toxic substances. Natives require less pruning and no fertilizing. A well planned native plant landscape attracts birds and butterflies. Participants will learn why and how to select native foundation plants appropriate for their geographic region, as well as best practices for designing with locally native plants. 1. 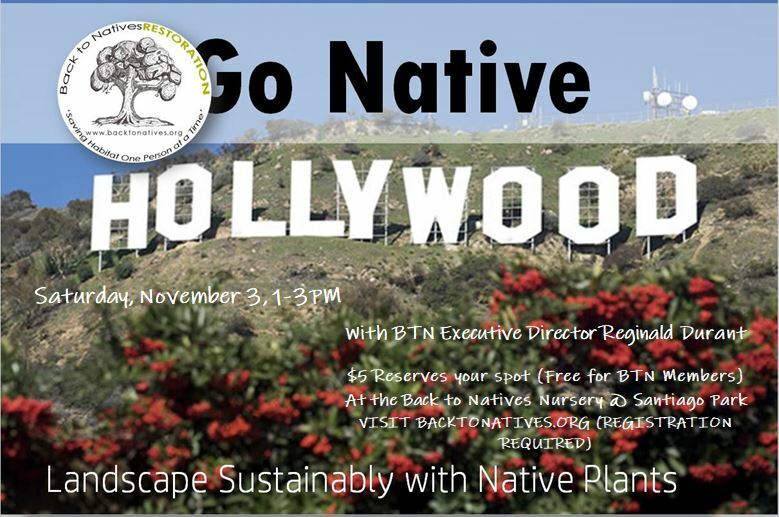 Participants will learn why and how to select native foundation plants appropriate for their geographic region. 3. Participants will learn which method of irrigation is most beneficial for native plants, resulting in healthy specimens while requiring the least amount of water.